When you block someone on Snapchat, it might be permanent or temporary. If you've temporarily blocked someone (or simply changed your mind about permanently blocking them), you can easily unblock them so you can go back to interacting with each other through the app. Since blocking people on Snapchat hides their account from you (and yours from them), you can't simply search for their name to find and unblock them. Instead, you have to go into your account settings to access your list of blocked users. The following instructions apply to the Snapchat app for both iOS and Android, however the iOS version will be used for this particular instruction process. Android users should be able to follow along with no problem, however you might notice some minor differences. Tap your user icon or Bitmoji icon in the top left corner of the screen to pull up your Snapchat Account Options. Tap the gear icon in the top right to access your Account Settings. Scroll down to Account Actions and tap the Blocked menu option. A list of usernames of people you blocked will appear on the next tab. Tap the X that appears to the right of the username of the person you want to unblock. Snapchat will confirm you're sure you want to unblock the Snapchat user. Tap Yes if you would like to unblock them. Once you've unblocked someone, they'll disappear from your Blocked list. You can then search for their username to find them again. Blocking cuts off all contact between you and the blocked user, which means they're removed from your friends list if you had added them as a friend in the first place. When you unblock them, you might need to re-add them as a friend. To do this, simply type their username into the search field at the top and tap the + Add button that appears to the right of their profile picture and username. Depending on their privacy settings, the newly unblocked/re-friended person will have to add you back to their friends list as well. Until the both of you have added each other back to your own friend lists, any snaps or chats you receive from each other will remain in pending mode. You also won't be able to see each other's private stories posted for friends only. Now that you know how to technically unblock someone on Snapchat, you may still have a few questions. Below are some of the most commonly asked questions and answers to help when you unblock someone. Is there a limit to the number of times you can block and unblock someone on Snapchat? 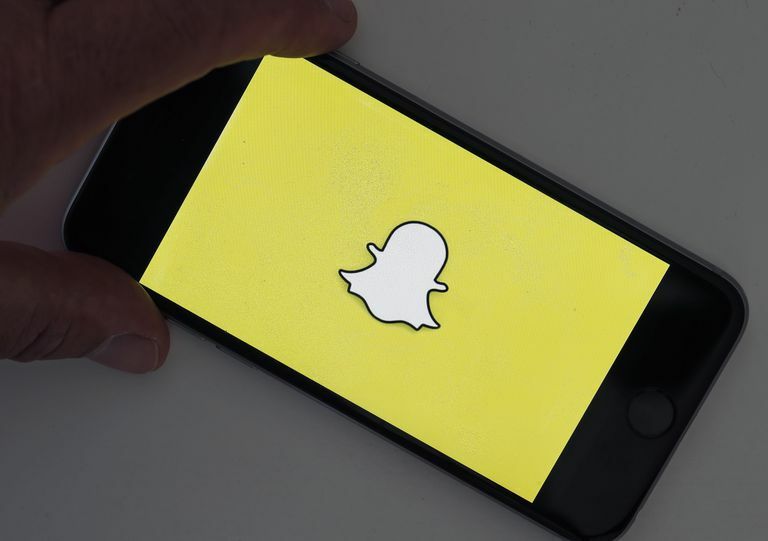 There's no clear limit to the number of blocks or unblocks you have for a particular user, however Snapchat has been known to place time restrictions on users who try to re-add friends that they recently deleted or blocked. So if you blocked someone, unblocked them and then tried to re-add them as a friend all in a very short period of time, Snapchat might prevent you from re-adding them back so quickly. You might need to wait 24 hours to be able to search for them and add them back as a friend. Do blocked people know when you unblock them? Snapchat doesn't notify users when you block them or unblock them. However, it's possible that someone might be able to discover you've blocked them and then unblocked them all on their own. For instance, if someone notices that your account has disappeared, they might try searching for you from another Snapchat account and confirm that they've been blocked. Likewise, they might be able to tell that you've unblocked them if they notice that your account has suddenly reappeared in search — especially if you were once on each other's friends list but are no longer connected as friends. Is there a better alternative to blocking and unblocking people on Snapchat? Instead of temporarily cutting off all contact with someone and then having to re-add each other as friends, you can take advantage of the Do Not Disturb feature. When you turn on the Do Not Disturb option for any friend, they'll remain on your friend list and you can still continue to receive snaps and chats — but without any of the pesky notifications that come with it. To turn on the Do Not Disturb feature for any friend, simply open a chat with them by searching and tapping on their name. Tap the menu icon in the top left corner and then tap the Do Not Disturb button so that it turns blue. You can turn this on and off any time you want without your friend ever knowing, all while enjoying the freedom of being able to open their snaps and chats at your leisure.